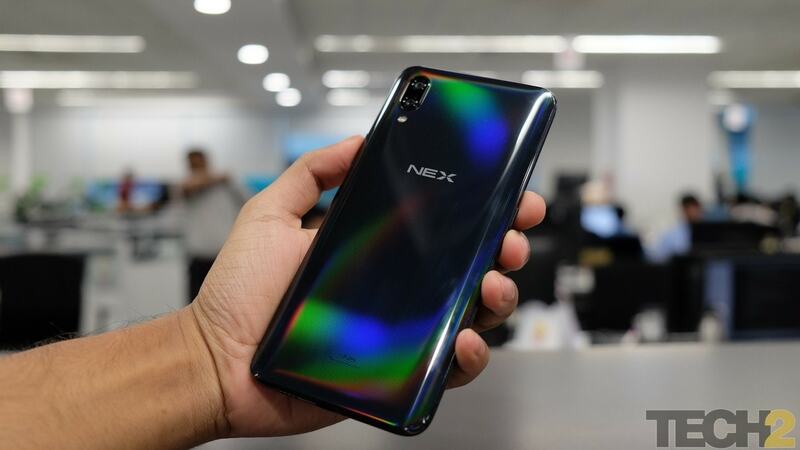 The Independence Day is around the corner, and while most people are waiting to enjoy a weekday off, Vivo fans are already trying to get their hands on the recently launched Vivo Nex which is available for an incredible price of Rs 1,947. The flash sale takes place as Vivo is celebrating the 72nd year of Indian independence with its freedom carnival. The Vivo Nex with the pop-up camera, which was launched earlier last month at an event in New Delhi, is priced at Rs 44,990 in the country, and you can read our detailed review of the device here. Today is the first day of the sale, and we’re guessing a couple of phones might have been sold at the price already, but according to the Vivo Shop website, looks like the phone will be up for Rs 1,947 again, but we don’t know at what time exactly. This sale will be on for 7, 8 and 9 August at 12 pm, so if you missed out today, then you can try your luck tomorrow or day after. How to get the Vivo Nex at Rs 1,947? Step 1 ­- Sign up on the Vivo Shop right now. You will need to provide your email address and authorise it using an OTP and you’re good to go. Step 2 – Enter your address details in the ‘My Address’ section and keep it ready so you don’t have to do it later. Step 3 – Log in right at least an hour or 30 minutes before it strikes 12 pm. Best, keep your selves logged in all the time, and keep checking from time to time. Step 4 – Keep yourselves on the on the Vivo Nex page, and keep refreshing the page for price. Step 5 – The moment you see Rs 1,947 and not Rs 44,990, hit ‘Buy Now’. Step 6 – Immediately hit on ‘Place Order’ and select the delivery address that you had saved earlier. Step 7 – Finally choose the payment option, from cash on delivery, credit card, debit card or net banking. Step 8 – Go grab a beer or buy yourselves a good dinner, and spend more than you spent on the phone. If you manage to get the device at Rs 1,947, congratulations. If you do not and are planning to change your smartphone, Vivo NEX could be a good device as it justifies the price tag. The pop-up camera is a big leap towards realising a phone with no bezels and all screen. We think that, if you are into big displays, hate the notch, view a lot of video content and don’t take a lot of selfies, then the Vivo NEX is definitely for you. There are a lot of other deals as a part of the Vivo Freedom Carnival, just in case you miss the Nex at 1947. For instance, you can try getting the Vivo XE100 earphones, Vivo USB Cable and Vivo XE680 earphones for Rs 72 each.